Priyanka Chopra is always on top of her style game. After having appeared on Ellen Degeneres show in a silver Vivienne Westwood drape dress, the actress gave another outing to the designer label as she stepped foot on the red carpet event of her Hollywood flick, Isn't It Romantic, ahead of Valentine's Day. Following the suit of her effortlessly chic style of dressing which is always apt for the occasion, PC donned a Vivienne Westwood draped gown featuring our favourite texture of sequence bodice and fav floral print. Priyanka kept her hair in open beach curls and makeup fairly neutral to balance out the vibrant gown. 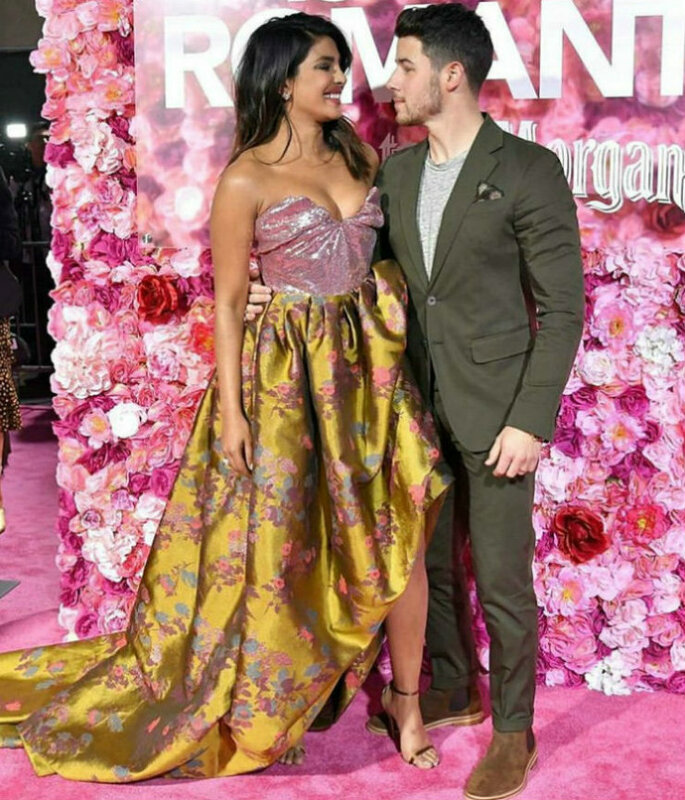 While, Priyanka looked unbelievably gorgeous, Nick Jonas was dapper as always, this time in an army green blazer and printed pocket square. Per usual, Nick kept the vibe casual as he clubbed his formal wear with a grey round neck tee. Designer Vivienne Westwood is known for creating figure-flattering corset gowns incorporated with dramatic draping. And Priyanka's last night's red carpet is a perfect example of the same. 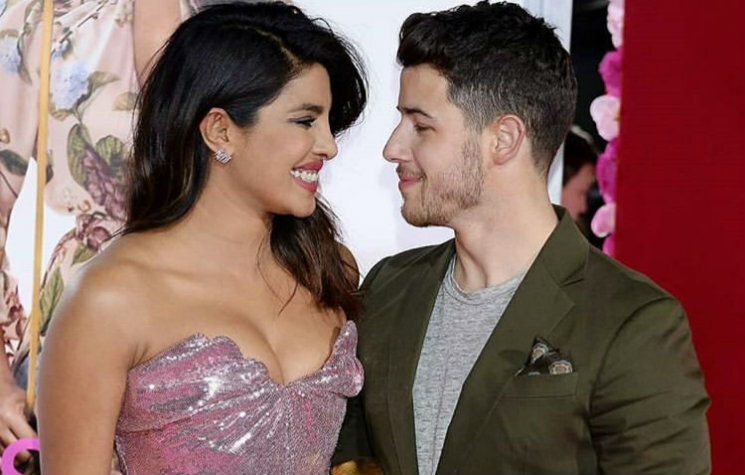 Talking about Priyanka's Hollywood flick, Isn't It Romantic, it stars Rebel Wilson, Liam Hemsworth, Adam DeVine and Betty Gilpin in main roles. The film will see Priyanka playing the role of a yoga ambassador, named Isabella. The film will hit the screens on 13th February, right before Valentines Day.